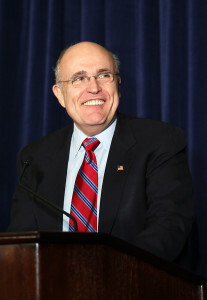 Giuliani was an attorney who, as U.S. attorney for the Southern District of New York (appointed in 1983), earned a reputation as a tough, savvy prosecutor. He ran for mayor of New York in 1989, was defeated, but emerged victorious in 1993, the first Republican mayor of the city in twenty years. He pledged major reforms of the city’s finances and law enforcement, and he presided over a period of financial recovery and substantially reduced crime. Although some objected to what they regarded as his authoritarian manner, most New Yorkers—and most of the nation—were greatly impressed by Giuliani’s strong, efficient, and compassionate leadership during the September 11, 2001, terrorist attacks on the World Trade Center and afterward.